Usually it’s difficult to find the application settings in any web browser. Chrome 10 takes the browser settings to a new Tab where there is a search box that let you find all settings in a matter of time. I just entered privacy in the box, and all related settings come up as shown above. Syncing in Google Chrome 10: Using more than on computer and Google Chrome browser? Now you can sync all browser bookmarks, passwords to your Google account and use it anywhere with Google Chrome 10. To use this search for sync from your settings tab and sign into Google account. Sandboxing of browser tabs and plugins is a security feature introduced in Google Chrome 10. It considers each tab as different processes, so in case if there is a security issue in one tab. It won’t affect the other tabs. Google Chrome 10 comes with inbuilt Flash and PDF support. These two plugins are also sandboxed and linked to Google update service to make sure the plugins are updated and secure. 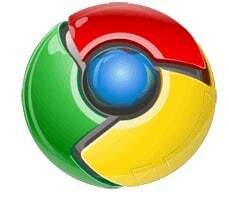 Google provides a full standalone Chrome 10 installer for Mac OS and Linux users. However, Windows users have to download an online installer and then download full setup files. If are a windows user and need the full Chrome 10 installer, get the 64-bit ( here)or 32-bit (here) installers.